This week's meeting I welcomed our guest speaker Bruce Lee and prospective members Max Cunnington, Chris Caithness and Peter McEwen. Chris is a former RYE (Finland) and her son Connor has applied for RYE and nominated Applecross as his club. I will be asking the Board for endorsement with the proviso that host parents for an incoming student are in place by the end of the year. 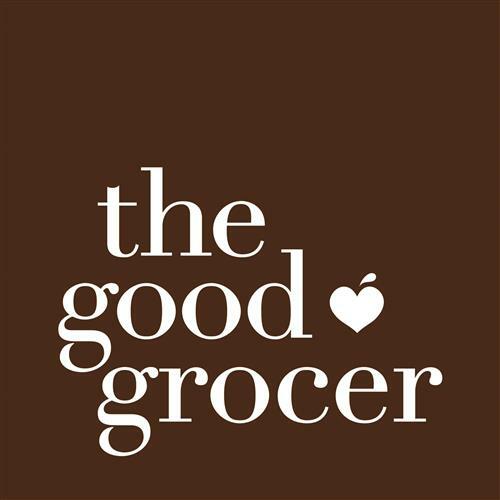 The board will also be discussing an alternative venue for our breakfast meetings. Concerns about the completion of the major Global Grant for the Sri Lanka project have been successfully addressed, thanks to PDG John Kevan of Mandurah Districts. The project is now officially completed. Applecross Rotary sponsored a number of students from the Telethon Speech and Hearing Institute for a Leeuwin Sailing Experience: they’ll come to our meeting to tell us all about it on Tuesday morning 16 April. President Elect Barry presented a "Citation of Appreciation"from the President and members of the Rotary Club of Colombo South (Sri Lanka) for "the support and understanding of the many challenges overcome during the extended implementation and completion of this vital public health initiative". Click here for full story. Liz announced the next Fellowship Sundowner would be held at Lesley Combes' home on Thursday 28 March. Kenn announced that three new members would be inducted into Applecross Rotary on 26 March. Bruce is a local, attending Applecross Primary and All Saints College. He is a qualified teacher and social worker, and he has worked as both as well as an MTT bus driver! In 1990, he started living in Japan and over a twelve year period he worked there as an English as a second language teacher, for a publishing company, in a fish filleting company as a fish filleter and as a wedding celebrant where he officiated at 1052 weddings, often 8 per day. He has two sons 20 and 18 years old. Bruce has been working in education most of his career and after teaching for a short time at All Saints College he trained as a Steiner Teacher. He was a primary class teacher at a Steiner School for four years before becoming a social worker with the Dept. of Child Protection. He went onto become Principal at the Silver Tree Steiner School in the Hills for two years, and has been the Principal at Perth Waldorf School in Bibra Lake since 2012. Most of us know nothing about Steiner Education, which is why Bruce was asked to tell us about it. Firstly it gets its name from the German educator who in 1919, created the curriculum for a school established for the children of workers at the Waldorf cigarette factory in post-war Germany. Steiner is the largest independent education provider in the world. The country of greatest growth is China, with 1150 schools currently and predicted to grow 200-300 schools a year. There are 6 schools in WA teaching up to year 6 and one teaching to year 12, the Waldorf School at Bibra Lake (near Adventure World). It was established by a group of 6 parents, many of whom are still involved with the school. Even though most continue onto to university after year 12, they do not sit the year 12 exams but rather take the Mature Age test and are allocated an ATAR by the Tertiary Institutions Service Centre. Although non-communicable diseases, such as diabetes, heart disease and cancer, are increasing in tropical regions such as Sri Lanka, infectious diseases are still responsible for significant illness and death. Many of these infections have common symptoms such as fever, loss of appetite or malaise, and are often indistinguishable. Therefore, rapid laboratory diagnostic tests that identify a specific infection are essential to ensure an accurate diagnosis, and enable an effective choice of treatment in a time to make a difference. The extended period of civil unrest in the northern region of Sri Lanka reduced the capability of hospitals to provide and maintain adequate services. One area that lagged behind was modern systems of disease diagnosis that can be operated by trained clinical laboratory scientists and technicians. Following extensive consultation, a project was designed to provide pathology equipment and specialist training to some hospital laboratories and technicians, to enable them to test for key infectious diseases, and guide appropriate treatment. This vital public health initiative is expected save many lives and reduce suffering. The pioneering project was formalised by then District Governor Melodie Kevan D9465 (Western Australia) and then District Governor George Jesuthasan D3220 (Sri Lanka). The Rotary Club of Applecross and the Rotary Club of Colombo South subsequently received approval for a Global Grant of US$206,740. Lab without Walls Inc. specialising in remote area disease detection, was the cooperating organisation. Intensive training of twenty-three personnel at a four-day workshop conducted by pathologists from Perth was successfully completed. Rotarian Dr Tim Inglis lead the training that was held at the Department of Microbiology, University of Peradeniya. Four of the participants later formed a Vocational Training Team and travelled to Western Australia to extend their skills in operating the rapid disease detection equipment. The pathology equipment, training and reagents were supplied and delivered on time, but unavoidable construction delays in completing and upgrading new laboratory facilities by the government, meant testing of patient specimens stalled, but has now recommenced. Teaching Hospital Jaffna (in the north) and the District General Hospital Newara Eliya (in the centre) were recipients of this equipment. The centre piece is a real time polymerase chain reaction (PCR) machine while the supporting equipment includes a DNA extraction machine, hot block, vortex mixer and micro-centrifuge. PP Nadaraja Saravanapavan, Rotary Club of Colombo South, Chairman Host Project partner and PDG John Kevan, Rotary Club of Applecross, Chairman International Project partner, coordinated this logistically challenging project. 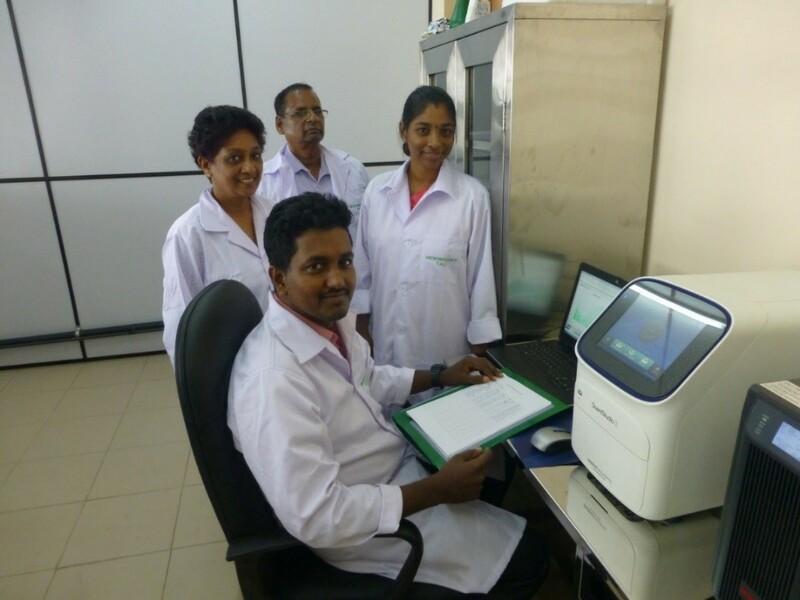 The Microbiology Department of the Teaching Hospital Jaffna has now been identified as one of the four regional centres for infectious disease diagnostics in Sri Lanka. This entails development of diagnostics in molecular biology, bacteriology, virology, and in mycology (i.e. fungal infections). Molecular biology involves detection of the DNA or RNA of the infecting pathogen directly from patient samples. This is a very rapid and sensitive method and can yield results within hours of receipt of the patient’s specimen. These laboratories can now support surveillance and research into infectious diseases in outlying provinces, thus contributing to essential regional area capacity-building. The equipment is also being used to support the national diagnosis of dengue. It is planned to expand the testing to include scrub typhus and leptospirosis, important infections in the Jaffna peninsula where rapid diagnostics were not readily available previously. Acknowledgement is made to Hospital Directors and all personnel in their Microbiology Laboratories, the personnel at the Department of Microbiology, University of Peradeniya, PathWest Laboratory Medicine WA, and Rotary Foundation staff for their support and understanding. Rapid and reliable diagnosis of infectious disease will now contribute to reducing the morbidity and mortality of thousands of patients in Sri Lanka, help track disease trends and reduce the spread of antimicrobial resistance by preventing inappropriate antibiotic treatment. Rotary has again demonstrated this comprehensive ability to provide appropriate equipment and competent training that produces sustainable, life-saving outcomes. 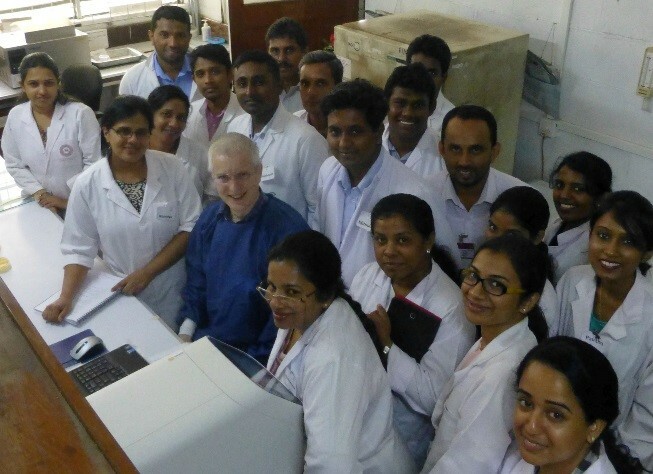 Rotarian Dr Tim Inglis with specialist microbiology laboratory technician participants at the Rotary sponsored four day training workshop at the University of Peradeniya. Project banner indicating the significant organisations contributing to this project. Congratulations Hamish clocking up 11 years as a Rotarian. Happily contributing some HAPPY DOLLARS. Kenn posing with Mal during his Director report. Great news that we are inducting three new members.